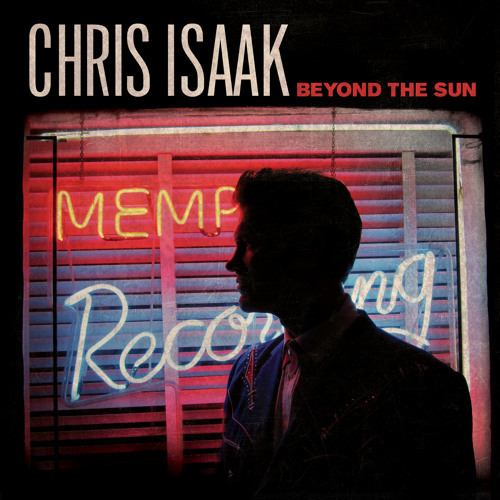 The accurately titled Beyond the Sun, Chris Isaak’s Vanguard Records debut, is a self-described labor of love. Since he fell in love with his parents’ 45s as a child, this passionate writer/artist has been obsessed with the glory days of Memphis’ Sun Studio and the visionary artists who got their starts there—including Elvis Presley, Johnny Cash, Roy Orbison, Carl Perkins and Jerry Lee Lewis—all of them discovered and nurtured by Sam Phillips. Now, at long last, Isaak recaptures the brilliance of Sun Studio, and beyond, by paying tribute to the roots of Rock ‘n’ Roll with renditions of classics, plus new, original self-penned tunes.